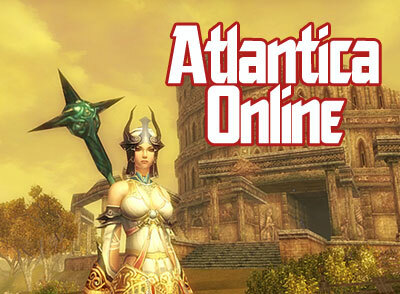 Atlantica Online is another new MMORPG that blends mythical real world elements with high fantasy. Boasting a Mercenenary Advancement System, Town and Territorial System, Multiple Classes and a player driven economic system, Atlantica does look and sound good. Question is: How does it play? Atlantica Online game impressions in a couple of days. Atlantians became very prosperous after they created the substance called Oriharukon. Wanting to learn the secrets of this mysterious material, many other civilizations implored the Atlantians to share their knowledge, but they refused, closing their door to outsiders. Anyone that persisted, the Atlantians brutally destroyed. Eventually, the Atlantians exhausted all the supplies of the four crystals, the raw materials for Oriharukon. Their thirst for the crystals led to the destruction of four great civilizations (the Yellow River, the Indus Valley, Mesopotamia, and Egypt), and set them on a path to conquer the world to find more. But the arrogance and greed of Atlantians would instead lead to their demise. When they lost control of the magic powers generated by Oriharukon, Atlantis disappeared in the blink of an eye. But, remnants of Oriharukon survived. To follow a treacherous path fated to you as a escendant of Atlantis. To find your ancestral home, which vanished off the face of the Earth long ago. To fulfill your destiny: Save humankind from the disastrous effects of Oriharukon, the source of Atlantis’ destructive power. You will embark on an epic journey that will take you to mysterious and dangerous locations around the world, as well as through time and human history. You will enter countless battles against creatures of legend and lore, mutated and deadly due to the influence of Oriharukon. But you will have the help of mercenaries you meet along your way, facing enemies together. You will collect clues from the remains of ancient civilizations, which will ultimately lead you to the lost land of Atlantis, and all the secrets kept there. Is it THAT good? Is it worth Level Up! Games’ attention? its a great game that they post a “satisfaction guarranteed, if not we’ll buy your character” slogan. gameplay is so good you cant get enough of it. kelan pede mag download ng beta client nito? i have played many turn based strategy games in many consoles, super robotwars, front mission, heroes II-V+ all expansions, Disciples 1&2 to name a few. i do enjoy playing it alone or a hot seat with friends 2-4. cant imagine doing it on a massive scale. so im very excited about this. sana they will release a game client early next year. panu vah i download 2ng atlantica? un ph ahh ^^_? ?